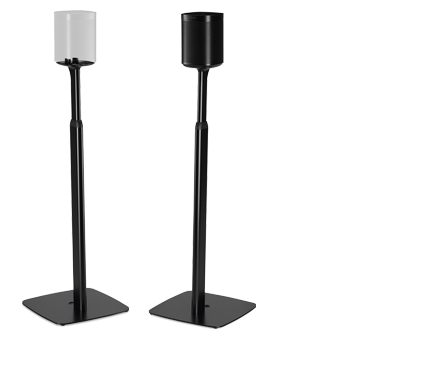 High-quality floorstands for One or Play:1 speakers, height adjustable for perfect alignment. Securely holds speakers at heights from 839mm to 1314mm (33” to 51.7”). Precision made in the UK from superior-grade materials. 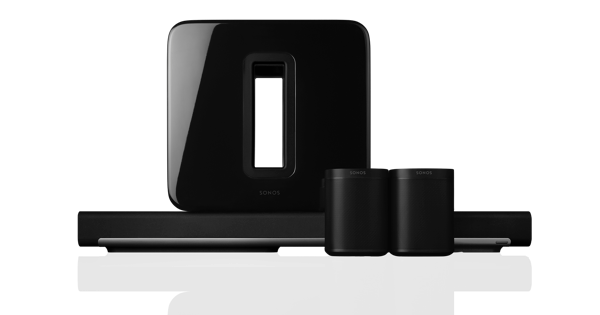 Premium, flexible solution for use in a 5.1 surround sound set-up with a Sonos Playbar or Playbase and Sub. 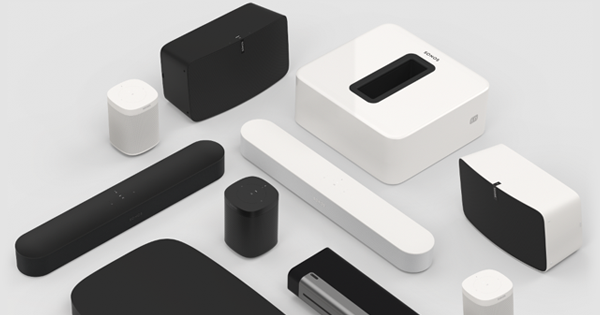 Simple assembly and fitting with smart cable management to keep things tidy. Stable on any flooring: supplied with both carpet spikes and soft rubber adjustable feet for wood/tiled floors.